20907 - Corbeau Reclining Seat - CR1 - Dezod Motorsports Inc - Home of the automotive performance enthusiast since 2002. 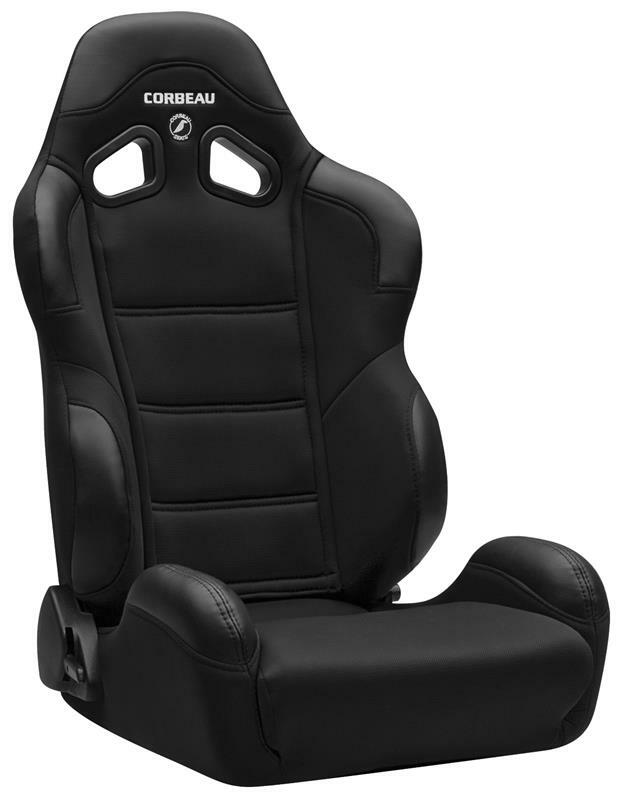 The acclaimed Corbeau CR1 Racing Seat provides drivers of all kinds with the latest in looks, comfort, durability and style. Standard features include: high-density injection molded foam, ergonomic design, harness belt capability, integrated shoulder, kidney and thigh support, leatherette high wear patches, and a fully adjustable seat back with a flip forward fingertip controlled lever for rear access. 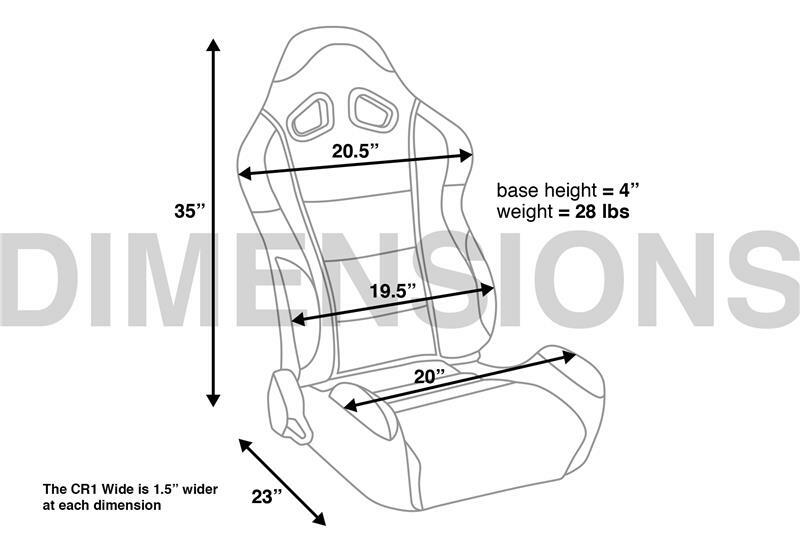 The CR1 is extra aggressive in the kidney area and will fit up to a 36” waist. The Wide version (IN ALL COLORS) will fit up to 40” waist.